The Coalition for Nigeria Movement (CNM) led by former President Olusegun Obasanjo has asked Nigerians to be wary of President Muhammadu Buhari’s government as it has corrupted security agencies ahead of the 2019 general elections. It said the statement by a former Minister of Defence, Lt. Gen. Theophilus Danjuma (retd. ), that the military was colluding with unscrupulous individuals should not be dismissed. The spokesman for the CNM, Mr. Akin Osuntokun, said this while responding to allegations by heads of security agencies that there was a plot by some groups to disrupt the 2019 general elections. The Directors-General of the Department of State Services, Mr. Lawal Daura; and National Intelligence Agency, Mr. Ahmed Rufa’I as well as the Chief of Defence Staff, Gen. Gabriel Olonisakin, had raised the alarm over the plans by some groups to disrupt the processes leading to the 2019 elections. The plan, according to them, was for the groups to create a stalemate during the elections. 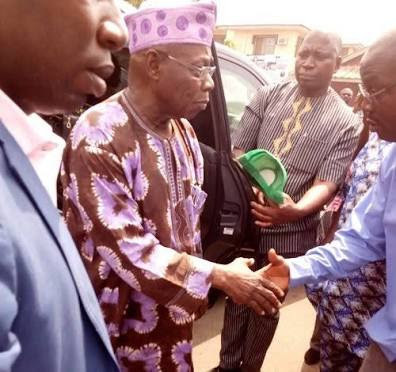 However, Osuntokun told Punch that the security heads were acting out the script of the All Progressives Congress (APC). He said, “It all sounds funny to me. I don’t know any group that meets that description but why would anyone want to disrupt the 2019 elections? The only people that would want to disrupt the elections are the APC which has sensed its imminent defeat. “If what Gen. Danjuma said is true whereby our protectors have become murderers, then it means they are the ones that should be feared. They are the ones that should be suspected. Osuntokun said it was unfortunate that the heads of security agencies were serving a ‘conspiratorial parochial agenda’ as they were protecting the President’s ethnic base. He added, “Where is the need to reserve the command of the Nigerian military and security services exclusively for the ethno-religious base of the President if it is not to serve a conspiratorial parochial agenda?